I was drawn to this book because of the Oprah Book Club, which is always my “go to” for list of good books that I ought to read. I was right away intrigued with the title, the synopsis, to prove the several reviews I have read and of course my excitement to find out how it is related to the twelve tribes of Israel. a series of interlocking stories about each of the 12 people dependent upon Hattie for love and survival across the 20th century, from Philadelphia and Jubilee in 1925 to Cassie and her daughter Sala in 1980. Their experiences also seem representative, and at times, too, representative. There is Floyd, conflicted about his homosexual desires; Six, who represents the longing to find salvation in religion; Billups, who was molested as a child; Franklin, the alcoholic and gambler who ends up a soldier in Vietnam. Alice marries well but unhappily, and leads a sterile, tranquilised life; Bell is self-destructive; Cassie has schizophrenia. One begins to feel as if there isn't a trauma that this family doesn't face, as Mathis whisks us from one crisis to the next. Just as a character starts to emerge, we are on to the next, a steady stream of shiftless men squandering money in bars and gambling dens while women struggle to hold families together. But if the characters drift, the novel does not; it eddies around the rock of Hattie, the woman who grounds her family’s story, and who will not be ground down by it. As unremittingly bleak as her characters’ lives are, Mathis has not produced a grim novel: it is as much about our need for joy as it is about our struggles against bitterness. 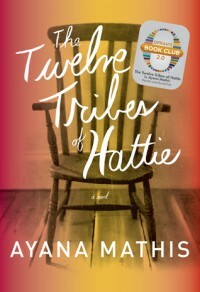 Written with elegance and remarkable poise, the Twelve Tribes of Hattie is rather like its heroine- a bit withholding at times, but memorable and with the hint of something formidable glinting under the surface. But why the 3 stars rate? Well, I value very much the spiritual inspiration I could always absorb from every book that I read. I wanna be empowered and at the same time be affirmed of my faith to the One True God, not that I could ever be swayed from my belief. During the journey of the read, I did picked bits and pieces of the optimism that I am wishing for, learning from the triumphs and failures of Hattie and the lives of her children whose existence are the very result of Hattie herself. From the twins to the granddaughter, from the loss to the redemption, the writer really did a good job in relaying her story, despite the hasty way each of the children’s story ended. However, towards the end when her life is indirectly compared with the sufferings of Job (a well know character in the Bible) and the way Mathis somewhat broke that parallelism by changing the course of Hattie (well Sala’s life in particular), that was the turning point of my disappointment. The defiance and pride of Hattie that I sensed at the end of the story, crumbled down the wonder I have felt for her character and the book in general. I really hoped that it didn’t end the way it did, and for Hattie to have found the peace she had long been searching for- because I honestly didn’t think she had, given the way she reacted in the end. Im sure Mathis had her reasons, and probably she didn’t want Hattie's story to be predictable and ordinary- but the thought of imparting the attitude of detachment from God and our faith in Him scares me, not for myself, but for other readers that may be, in some remote way, experiencing similar tragedy as that of Hattie and her children. Don’t get me wrong, the book was amazing, I just didn’t agree with the ending. ""Fight them, Mr. Brigance, to the bitter end. We must prevail. 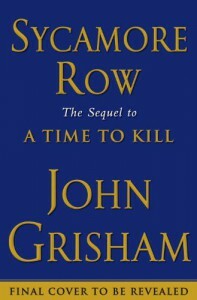 "- Seth Hubbard"
I was pretty excited when I bought this book as a gift for my husband, who is a huge John Grisham fan. When I saw the word sequel to “A Time To Kill” I got so worked up that I did not even bother to read the synopsis, nor read book reviews from the net, which I usually do before I purchase any book… just straight away cash it in the counter. So, imagine my frustration when upon reading it I realized it wasn’t at all related to the story of the Haileys or a mention of what had happened to little Tanya, but instead a follow through on the career of the young and vibrant lawyer, Jake Brigance. But still keeping the faith on our beloved Grisham, I kept reading and gave it a shot. 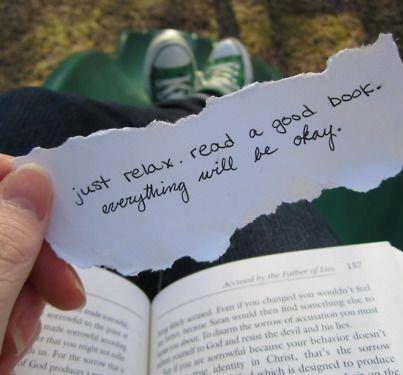 And I wasn’t disappointed at all by the time I put the book down. Sure, there are times that I wanted to give up as I felt there’s just too many back stories going on and Im finding it difficult to keep up. There were even times I got lost from the main point of the story, wishing that Grisham could have focused on another arch instead. But it all came clear, and understanding set in, once the courtroom action has commenced. And I would like to make special mention of the two of my favorite characters of the book- the erratic figure, Lucien Wilbanks and the contrarian, Harry Rex- who in my opinion had both been the life of the party. 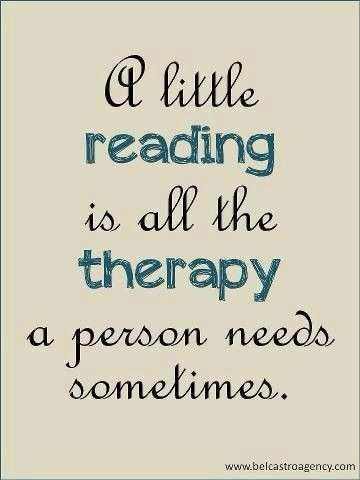 Without them, the story would have been just too dull to read. Yes, I started reading the book with a hint of disappointment, but I was relieved and thankful at the turn of the last page. Reading progress update: I've read 156 out of 447 pages. I guess 50 is a better number.